If you’re selling your home, whether through a real estate agent or directly to a home-buying company, you’ll receive purchase offers. It’s good to be prepared for these offers with understanding of their various components. If your house is on the market, chances are you are working with a real estate agent. The agent is your sales representative and market consultant. He or she understands selling trends and the current state of the market, which is valuable knowledge when considering purchase offers. First: Can the Buyer Pay? Before drilling down into the details of the offer, first establish that the buyer can make good on the contract. The offer should be accompanied by a pre-approval letter from the buyer’s bank. This letter confirms that the buyer has been approved by the bank to take out a loan for a home purchase. The letter is not confirmation that the buyer can buy your home; it is simply stating that initial approval has been granted to the buyer for a loan. Second: How Much is the Buyer Offering to Purchase Your Property For? While this number is important, before celebrating or being discouraged, look at the rest of the details of the offer. Also note how much earnest money the buyer is willing to put down. Third: Is the Offer Contingent on Anything? Sometimes an offer is contingent on the sale of the buyer’s home. This means that until the buyer sells their home, they can’t buy yours. If you receive a purchase offer contingent on the sale of the buyer’s home, ask a few questions: at what stage of the sale is the buyer? Is their house on the market? Do they have serious offers? Have they signed a contract? Fourth: What Inspections are Requested? It’s very common for a prospective buyer to require inspections. This is understandable. They want to know what works and what doesn’t in your house. It doesn’t mean that every system in your home must be performing perfectly. The buyer just needs to know what they’re getting into. Inspections can include home, well water, chimney, structural, septic, radon, and pest, among others. Fifth: What Else is Being Asked For? Are there specific dates requested for closing? Does the buyer want you to pay for some or all of the closing costs? Are they requesting concessions (discounts) for repairs or replacing carpets or appliances or the roof? When you have looked at the whole offer, start crunching the numbers. When all calculations are made, you’ll know if the offer is acceptable or not. You usually have the option of making a counteroffer, which your realtor will craft for you. You may have to go through this process several times with different potential buyers, but hopefully, one will stick and result in a successful contract and sale. Some homeowners decide to sell their properties directly to investors and thereby avoid most of the time-consuming parts of the traditional home-selling method. Selling your home to an investor like Houston Capital Home Buyers is the easiest way to sell your house fast. Houston Capital Home Buyers has been purchasing properties for a decade. We have made $25 million worth of real estate purchases and are rated A+ with the Better Business Bureau. We buy houses as-is, which is the major reason that we can buy your house quickly. Whether you sell your home to us or to another home-buying company, you should ask yourself these questions when considering the purchase offer. Is this a company with longevity and a proven track record? What costs will I avoid, such as inspection fees, agent fees, and repair costs? What hassles will I bypass by selling to this investor? What stresses in my life will be minimized by selling my house fast? 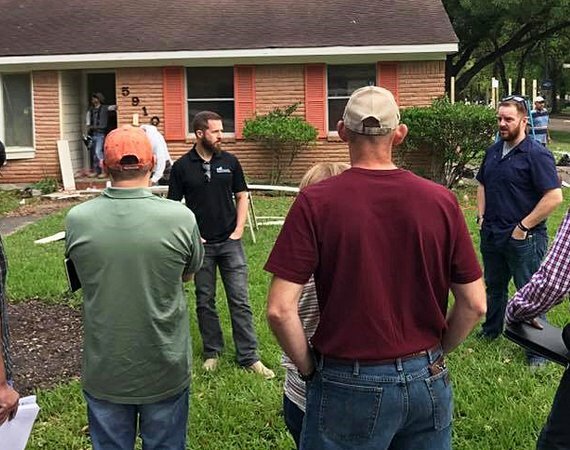 The answers to these questions may reveal that selling your property to a company such as Houston Capital Home Buyers is the best selling strategy for you at this time. Regardless of which method you choose for selling your home, the guidance in this article should help you evaluate purchase offers confidently and decisively.